Will he succeed at Chelsea? Football is filled with adages such as this one and all managers and footballers, dare I say sportspersons, have to live by this statement in order to be considered as one of the greats of the game. But how viable is this? How often can you have peak performances week in and week out, especially considering the incessant nature of the pressures that players and managers are under? These clichéd, nonsensical axioms are routinely spelled out and football fans routinely buy into these worldviews without any consideration for the footballer and the pressures that they live under. 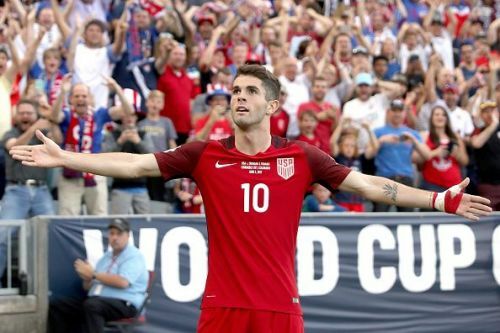 Christian Pulisic would be moving to Chelsea in the summer for a reported 64 million euros. All Chelsea fans expect that a 21-year-old boy would come in and set the Premier League alight, and with Hazard and Higuain, wreak havoc among opposition defenses. The supporters of the rest 19 clubs in the league would pray that he fails to live up to the hype. But is that really a fair expectation from a 21-year-old boy? Someone who had to move as a 16-year-old to Germany from the United States in order to fulfill his dream? Forget the pressure he would potentially be under when he moves to Chelsea, imagine the pressure when he moved to Germany as a 16-year-old when he was already being labeled as the best footballer the United States has ever produced. It’s absolutely insane. Lack of skill or adjustment issues? 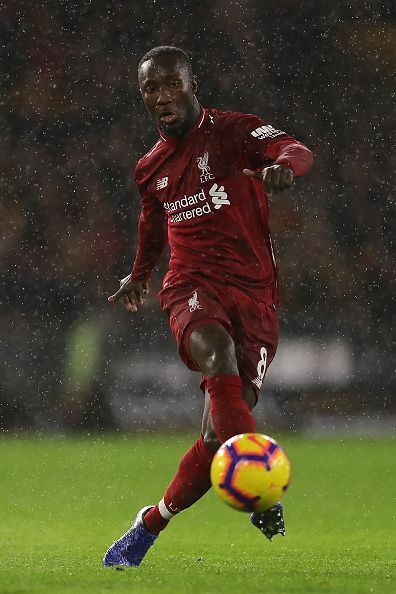 If Pulisic wants to know how things can go wrong he only needs to look at the state of Naby Keita at Liverpool. A big player moved from Bundesliga for big money after putting on stunning performances for RB Leipzig. He was, and the operative word being was, considered so good that Liverpool bought him a transfer window earlier than the one he moved in. But fast forward a year ahead and the results are shocking. 1 assist and zero goals from a midfielder who marauded through opposition defenses in the Bundesliga. What happened? Most football fans now agree that he was overhyped and Liverpool paid over the odds for him. You have been offered a six-figure salaried job in a country that doesn’t remotely represent your own. So, if you’re from a first world country imagine having to move to some third world country, or if you’re from a third world country imagine moving to a first world country. You don’t understand the language of this country that you have migrated to. Moreover, your family hasn’t migrated with you and all the support is provided by your employers. They give you a house to live in and take care of your daily needs. Additionally, you happen to be good-looking as well and they decide to put you on a bunch of advertisements and now, suddenly, you’re famous as well. You have paparazzi following you everywhere, from your workplace to your house to where and what you eat for your meals. Add to this the fact that your work hours are absolute crap, and you have to wake up every day early in the morning before sunrise and leave only by the afternoon. But hey, you get afternoons off. To do what though? No friends, no family, no communication skills. Only your PlayStation understands your plight. That’s not all. This new place that you may work at also has a system where random strangers and former colleagues commenting on everything that you do, every single day. Come the weekend, you and your team are expected to showcase your skills for the main employers and millions of random people in different cities everywhere. If you fail, you know you’d be labeled as an average or a below average employee and hurled abuses at. Can you avoid the Paparazzi? That’s the plight of a football today. The sheer resilience it would take to deal with all of this and then have a personal life that’s not publicized is borderline impossible. It’s time to cut them some slack for dropping standards once in a while and not expect them to be superhumans who don’t feel anxious, sad, angry, or depressed. Our collective understanding of what a sports person goes through must evolve. Just because I want my team to win and my team to do well, I cannot be expecting sportspersons to suffer this ghastly reality. The most common and ridiculous argument made against this opinion is that a footballer has trained their entire life to get where they have and are paid a ton of money to do what they do, therefore, it's only but fair that they are under the pressure to perform. And well, I pay to watch them and my team, so I expect them to perform well and most importantly, win.